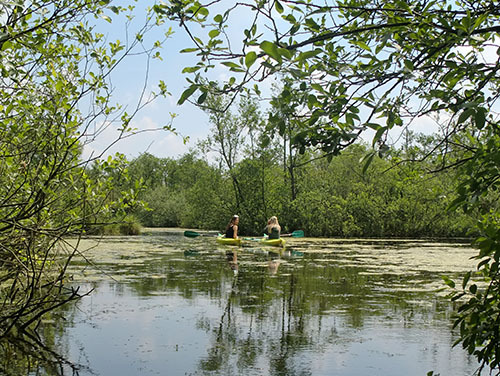 National Park De Alde Feanen is the perfect place for a nice canoetrip. Some people like to canoe on their own, others take friends along. It is also possible to make a canoetrip as part of a familyparty, or as an activity with people from your neighbourhood. 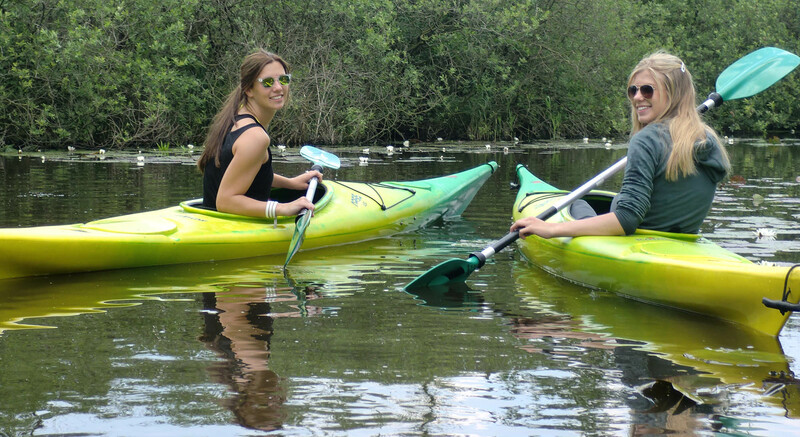 Canoeïng is also a nice activity on companytrips or for an afternoontrip with a schoolclass. We can easily place over 80 people in our canoes. Of course hereby there is choice out of the kayak for one person, the kayak for two persons and the Canadian canoe, which can hold 3 persons. For a nice day on the water, we will provide a map with a beautiful canoetrack through the National Park. You can use a plasticized copy of this map and with this it is possible to find the smallest canals and nicest ponds with blooming waterlilies. A nice trip takes at least two hours, but you can also spend the whole day on the water. For the diehards we provide a tour which leads you along picturesque villages in the neighbourhood as Warten, Warstiens and Wergea. Do you want to stay away for a few nights? Then we can advise you some (mini-)campings along the track as well. We provide tons for the baggage which has to stay dry. We do rent canoes in the village of Earnewâld, but can also deliver the canoes at the bungalowpark across the lake. You just give us a call and order. 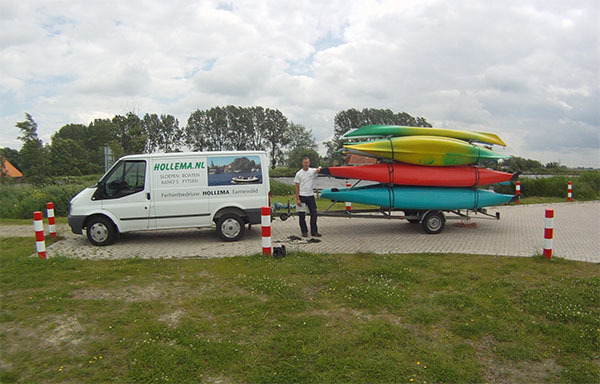 We deliver the canoes as long as the rent is for at least a whole day. Do you want to canoe at a place where are no canoes for rent? Don’t worry, we regularly bring our canoes to destinations in the wide surroundings of Earnewâld. 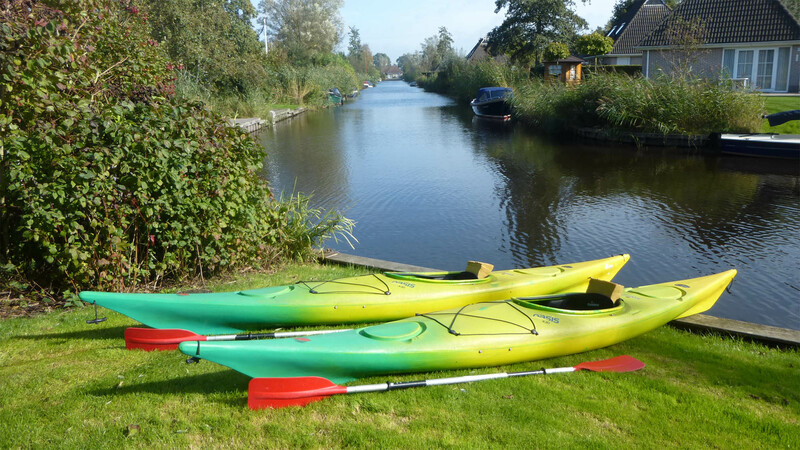 You could have seen our canoes paddling in De Knipe, Drachten, Grou, Poppenwier, Broeksterwâld (Houtwiel), Rottevalle (De Leijen), Franeker and Leeuwarden (De Kleine Wielen, Zuiderburen).